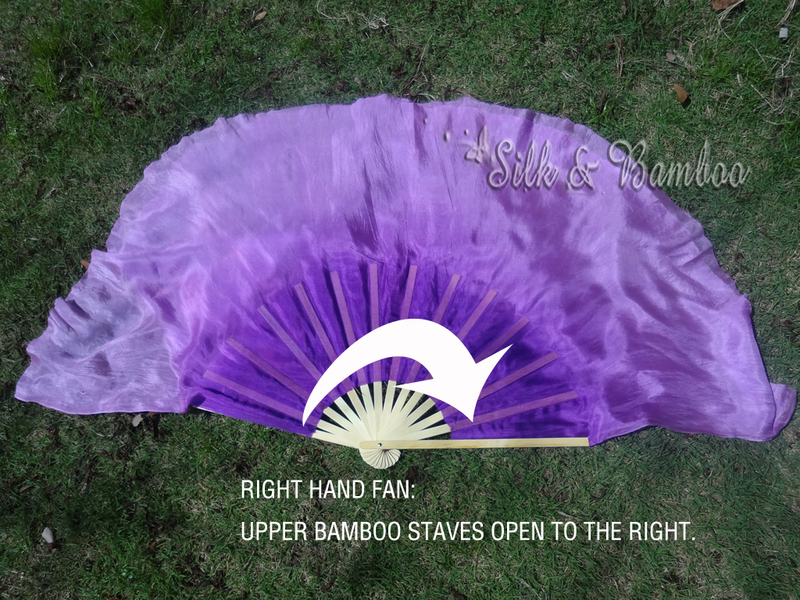 Dance fans (dance fan veils and flutters) come in pairs, one for right hand and 1 for left hand. They open in different directions. Dancer often use 2 hands to perform. Below is a left hand flutter. Please note the upper bamboo stave is on the left side. Below is a right hand flutter. The upper bamboo is on the right side. If your fan cannot open, try to open in the other direction. Don't force open a fan. It is not "defective". 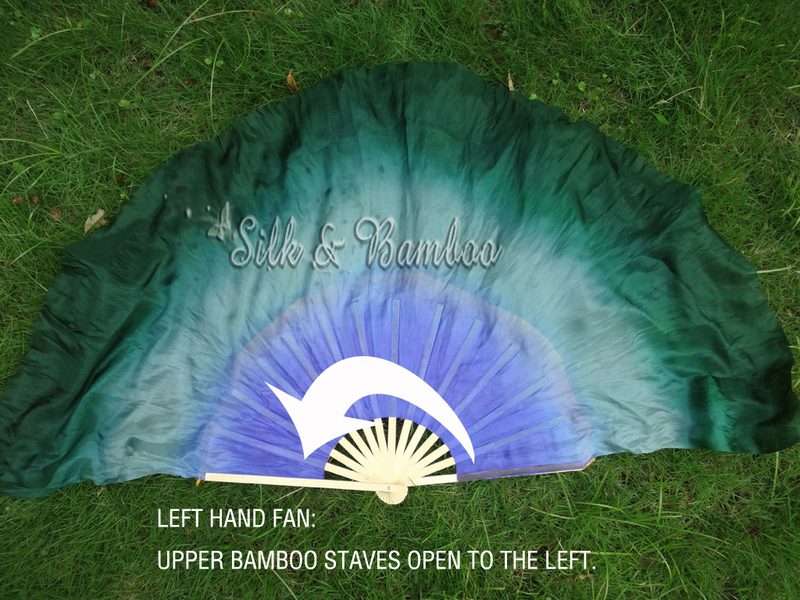 It is also important for dancers to tell the right and left fan veils to better handle the fans during dancing.